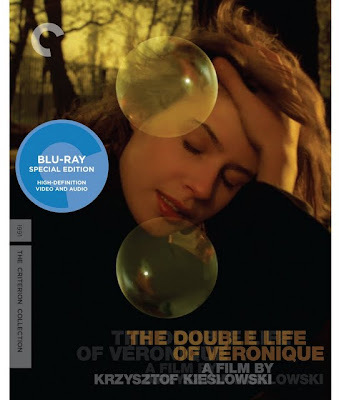 To watch The Double Life of Veronique is to get lost in the spellbindingly sensuous web that consummate cinematic craftsman Krzysztof Kieslowski weaves throughout his unique tale of two identical young women living concurrently in separate countries, completely unaware of the existence of their “double” until the Polish Weronika catches a brief glimpse of the French Veronique. And even though it’s a missed connection on Veronique’s end, this fateful and fleeting encounter soon leads to another fateful event as we leave the Polish storyline and enter the French one for the reminder of the film. In doing so, we discover that our interests have been piqued even more as Veronique makes a life-altering decision based on something that occurred in Poland… the same something that she shouldn’t logically know about, given that it happened to Weronika instead of Veronique. An intoxicating work of indescribable emotion and indefinable phenomena, Kieslowski’s Double Life is anchored by the tour de force performance of Swiss actress Irene Jacob (Au Revoir Les Enfants ) in her breakthrough role(s) as both Weronika and Veronique. Guileless, lovely and completely natural, Jacob is central to making us care about the admittedly meandering plot since Veronique is as rooted in the fantastic as it is in reality, which makes it much more accessible than some of, say David Lynch’s existential opuses that moves from a dream to a nightmare. Moreover, The Double Life of Veronique will undoubtedly mean different things to different people, depending on individual sensibilities and beliefs including déjà vu, coincidence, ESP, doppelgangers, premonition, superstition, fortune telling, intuition, mysticism, spirituality, and even parallel universes. Yet at the same time and just like the director’s intentional emphasis on music (equally personal and hard to describe), we don’t have to try to dissect what we’re feeling or even attempt to verbalize it if we’d rather just let it “play.”And indeed, it plays on your emotions rather than your intellect since logic is tested from one moment to the next. 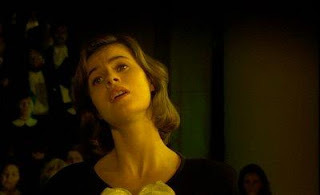 In fact, Kieslowski’s ponderous puzzle is so mysterious that even the director admitted to having cut roughly twenty different variations of the work alongside his dutiful editor Jacques Witta with the ultimately abandoned idea to let each theatre screen a completely different version of the movie during its initial run. And although the alternate ending Kieslowski and Witta prepared at the request of former Miramax head Harvey Weinstein for its American distribution deal is included in Criterion’s gorgeous golden-toned Blu-ray high definition restoration as a bonus feature, the final cut approved of by the late Kieslowski is the feature presentation of this lovingly transferred work. Technically speaking, the two-time Cannes Film Festival award-winning work is unrelated to the ten-part philosophical odyssey The Decalogue that preceded it or the humanistic Three Colors Trilogy that followed its 1991 release, all of which were conceived by master director Krzysztof Kieslowski and co-writer Krzysztof Piesiewicz. Nonetheless, Veronique works supremely well as a bridge to and from the aforementioned works given the fascinating "doubles" of overlapping themes evidenced throughout his oeuvre like chance vs. fate and free will vs. predestination, which obsessed the existential filmmaker in the final decade of his staggeringly impressive career from The Decalogue: Part 1 to Three Colors: Red .